The Congress government is not serious in tackling terrorism and Naxalism and the recent killing of BJP lawmaker is its example. 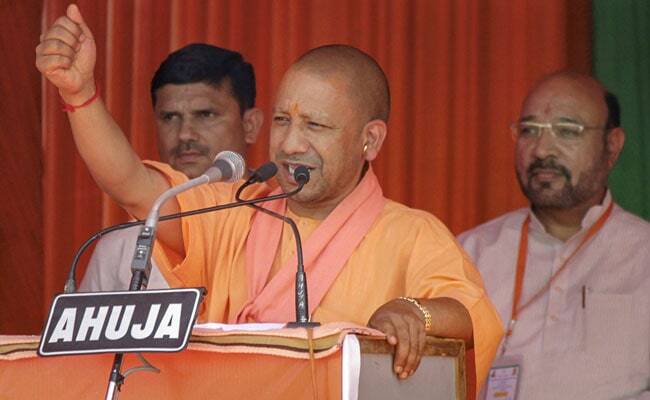 Uttar Pradesh Chief Minister Yogi Adityanath accused the Congress of being hand in glove with anti-nationals, and said its manifesto for the Lok Sabha election promotes terrorism and Maoists. Addressing an election rally in Ambikapur town under the Surguja Lok Sabha constituency in Chhattisgarh, he also alleged that the Congress government in the state was not serious about tackling Maoists and the killing of BJP lawmaker Bheema Mandavi in an IED blast in Dantewada earlier this week was its example. "Congress'' manifesto is an encouragement to terrorism and Maoists. Congress ka hath deshdrohiyo ke sath (Congress is hand in glove with anti-nationals)," Yogi Adityanath said. Highlighting various schemes launched by the BJP-led central government, he said, "Modi ji has been working to fulfil the dream of ''ek bharat, shrestha (superior) bharat''." The Congress government is not serious in tackling terrorism and Maoists and the recent killing of BJP lawmaker is its example. Mandavi and four police personnel were killed on April 9 in a Maoist attack in Dantewada district of the state. "Had the BJP been in power now, this (Maoist attack on BJP lawmaker) could have been avoided," he said. Yogi Adityanath also accused the Congress of denying benefits of the welfare schemes to the people in the state, he said, "Mafia raj of the Congress in the state is trying to end various schemes like Ayushman Bharat Yojana, meant to benefit the people, and were operational in the previous Raman Singh government." He also appealed to people to vote for PM Modi to make him the prime minister again. BJP has fielded its former legislator Renuka Singh in Surguja (ST) Lok Sabha constituency, which will go to polls in the third phase of election in the state on April 23. Congress has fielded its senior tribal leader and sitting lawmaker Khelsai Singh from the seat.